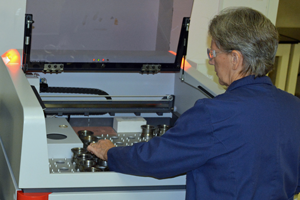 Constellation Technology commonly performs Materials Analysis, Material Characterization, Component Failure Forensics, Surface Analysis, Mechanical Testing, and Non-Destructive Testing. Materials analysis supports incoming lot certifications and validation of new materials. These services are valuable for troubleshooting current and development product processes. Investigation of a failed component utilizes sophisticated material analysis in conjunction with our expertise of component function within an operating system. Constellation Technology provides accurate, timely, and competitive testing of raw materials, Original Equipment Manufacturer components, and finished goods. We are fully capable of providing a wide variety of testing disciplines to help solve your Measurement – Analysis – Solution needs. Our team of scientists and engineers are ready to help solve your complex issues.